This statistic gives information on the following count distribution on Twitter, by share of Twitter users. 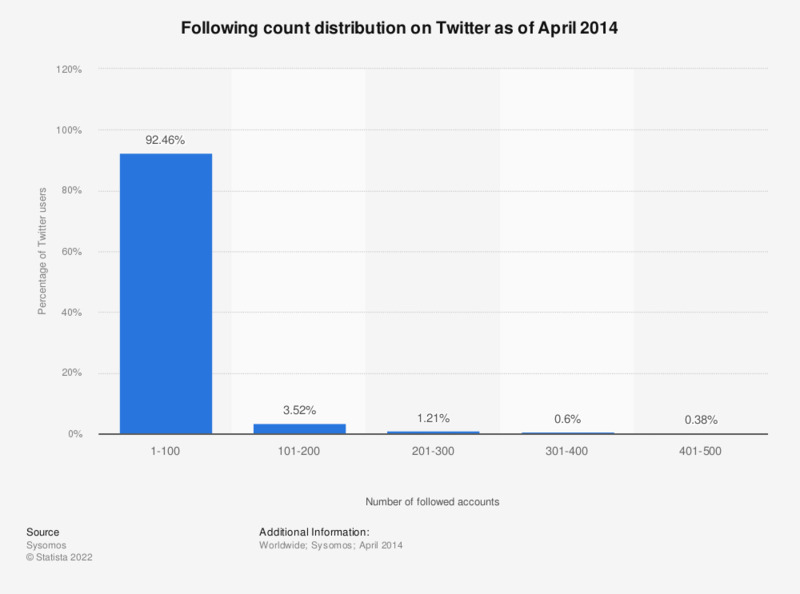 As of April 2014, 3.52 percent of Twitter users followed between 101 and 200 accounts on the microblogging site. Data is based on 11.5 million Twitter accounts. The source does not provide information regarding the exact survey date.